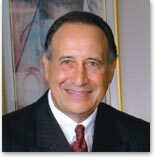 ANTHONY J. PERRI, C.P.A., P.A. Our top priority is your continued success. Our commitment to you. Providing the good life for yourself and your family is no doubt a major goal in your life. Helping you achieve this goal with less worry and greater ease is our commitment to you. Whether you are a big business or a small one, or an individual with a variety of concerns, we will provide you with financial guidance tailored to suit your specific needs. Youll receive the best possible service when you need it - and delivered with a personal touch. building your net worth through sound financial planning and investments. Click here to learn about the firm. Call us to arrange a meeting where we will discuss your financial and tax concerns and determine how we can be of assistance to you. We want you to get the best financial and tax help possible. If you have a question which is not addressed here, please contact us via e-mail: info@anthony-cpa.com or by phone: (954) 755-8755. To explore our home page, click on your topic of interest. We invite you back to our pages often. Bookmark this as a favorite page or make it your first page when you log on. Please call or send us an e-mail for a FREE brochure on tax and business planning. Our team is always looking for new, outstanding professionals. If you are interested in joining our firm, please e-mail or fax us your resume.